Like many Dot kids of his 1980s era, Chris Hagberg was first exposed to the theater arts as a grade-schooler at St. Gregory’s Grammar School. In addition to having a robust CYO basketball squad, the parish took pains to stage its own summer and spring musicals featuring student performers. Hagberg became one of the parish’s top thespians and vocalists, belting out big numbers from shows like Pippin’ and Joseph and the Amazing Techno-color Dreamcoat under the direction of Maria Kramer. These days, Hagberg spends his days just a block from his original St. Greg’s stage, working as the executive assistant to Carney Hospital president Andrew Davis — and the rest of Carney’s executive team. 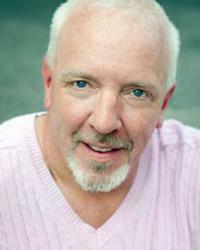 By night, though, Hagberg continues to belt out Broadway hits and one-liners as an actor with The Company Theatre. Later this month, he will star as King Arthur in the company’s revival of Monty Python’s Spamalot. The show runs July 26 through August 18 at The Company Theatre Centre for the Arts in Norwell. Hagberg has been associated with the Company Theatre for more than 25 years— he was “discovered” while he was was still a student at Archbishop Williams High by the company’s former board president, the late Donald Messinger. He went on to graduate from The American Musical and Dramatic Academy in New York, where he lived and worked for a number of years before returning to Dorchester a few years ago to care for his father. “I think it’s an great ensemble piece and there are so many standout actors in this production. My character is technically the lead, but King Arthur is really more of the thread that ties the whole piece together, kind of like Dorothy in The Wizard of Oz. Tickets for Spamalot are $34 to $36. Matinee and evening performances are available. For a performance schedule, to order tickets, or for more information, call the box office at 781-871-2787, email boxoffice@companytheatre.com, or visit companytheatre.com.